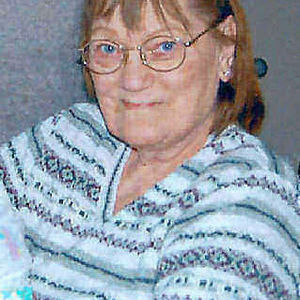 Rita R. Ellison, 70, Fargo, ND, passed away Monday, January 21, 2013 at Essentia Health, Fargo, ND. A Memorial Service will be held 1 PM, Friday, January 25, at Vertin-Munson Funeral Home, Wahpeton. There will be sharing with the family one hour before the service. Interment will be at a later date at Calvary Cemetery, Wahpeton. Vertin-Munson Funeral Home, Wahpeton, is in charge of arrangements. Rita was born October 7, 1942 at Breckenridge, MN, the daughter of Joseph and Opal (Dybdal) Kuruc. She grew up in Wahpeton attending St. John's Catholic School and graduating from Wahpeton High School in 1960 where she participated in the marching band. She lived for a time in Minneapolis where she attended Business College and worked for a time with 3M. She married Larry Ellison in Wahpeton, ND in July of 1963. They lived in Cedar Rapids, Iowa, before moving to Horace and Casselton, ND. While in Casselton Rita was involved in the volunteer Ambulance Service and participated in the local "police reserves". She moved to Fargo in 1993. Rita enjoyed traveling, camping and time at the lakes over the years with her family, and especially spending time with her grandchildren. She was a longtime fan of Elvis and his music. Rita is survived by her two children: her son Michael Ellison, Fargo; her daughter, Diana (Michael) Schmidt, Kindred, ND; a sister, Pat (Les) Renschler, Minneapolis, MN; three brothers, Terry Kuruc, Mark Kuruc, and Kim Kuruc, all of Wahpeton; two grandchildren, Sierra and Ella Schmidt; nieces and nephews. She is preceded in death by her parents, her former husband Larry, two infant daughters, a niece Robin Flynn, and a nephew David Renschler. We are sorry to hear about the passing of your mother. We planned to come to the memorial service, but Ellen is not feeling well so will not be there. God bless your family. Mike & Diana, I was so so saddened to hear of your mom's passing.She was such a wonderful caring person. I will remember her fondly. There are no words I can express to make you feel better, just know that I am praying for both you and the family. Love you.